Hi and welcome to “What Works Wednesdays” where we share a success story from one of our clinical cases. All names have been changed to preserve the privacy of the child and family. Our intent is to show readers how successful ABA can be. Today’s story is about a neurotypical little girl named Sophie who was 8 years old at the time we treated her. Sophie had long blonde hair and big blue eyes. She had a heart warming smile that could make you melt. She could also throw a punch better than Mike Tyson. Yes, sweet little Sophie had aggression and that was why we were brought in to help. Sophie was much like any other child her age. She was not interested in boys, desperately wanted to have friends, and she loved her stuff–and wow did she have a lot of stuff! She had an iPhone, jewelry, and endless art supplies. She also had a doll collection–many of them unopened. 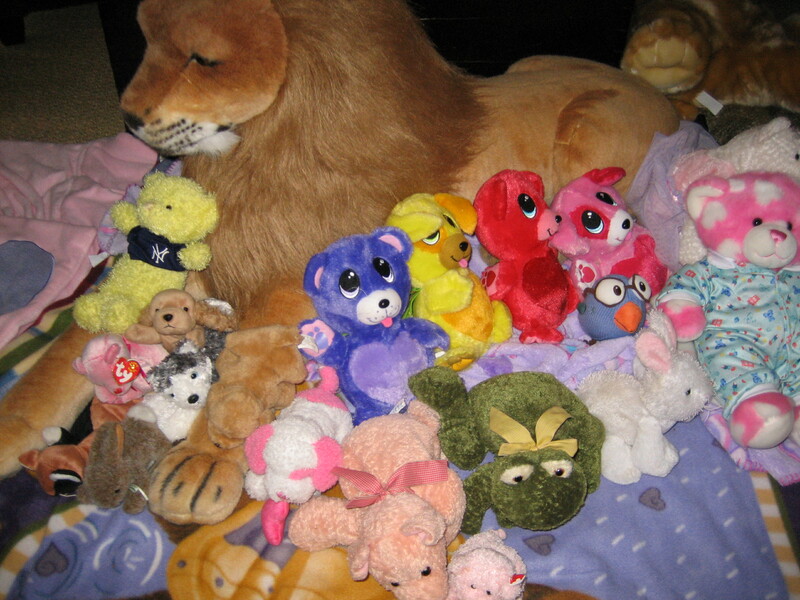 She also owned had a stuffed animal collection that could make a Carnie envious. The good news was that Sophie did not engage in aggression to children at school. Sadly, her sister was the recipient of all that anger. At times, Sophie would threaten to hurt her baby brother but she never followed through on those threats. Our first step in treating aggression was to determine why the aggression was occurring in the first place. We had a difficult time figuring Sophie out. At times it seemed as if she was hitting to get attention. However, at other times, it seemed as if she was simply taking out her frustration. After the assessment was completed, we developed a plan to address the behavior. The plan consisted of strategies to prevent behavior from occurring in the future. The plan also included instructional strategies to teach replacement behaviors. Finally, the plan included strategies for reacting or responding to behaviors. We taught Sophie’s parents to provide Sophie with attention when she engaged in positive interactions with her sister. We also taught them to give her high quality attention when she was being good. We know that this sounds rather simplistic but the research supporting these strategies is unsurpassed. The research also shows that these strategies are rarely used by parents. So we listed some specific positive behaviors for them to be on the watch for and we taught them specific things to say and do when they saw Sophie engage in those behaviors. Next, we taught Sophie some strategies to use instead of aggression. We taught her to walk away if her sister was getting her agitated. Even when the preventive strategies and the replacement behaviors are being used, aggression could still occur. 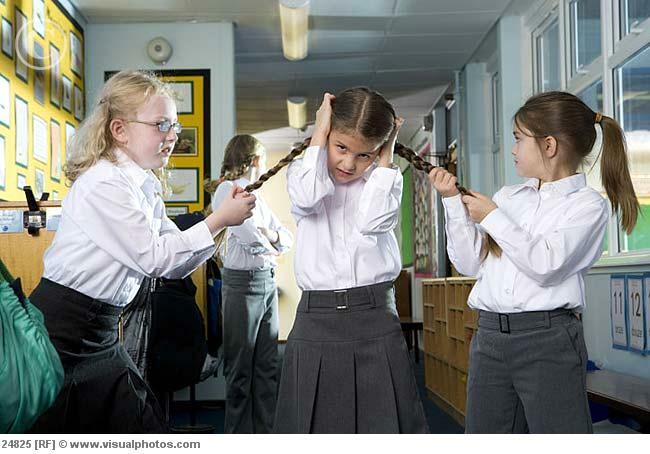 Thus, Sophie’s parents needed to have a plan about how to respond when aggression occurred. First, we taught the parents to avoid providing unnecessary attention when Sophie engaged in aggression. We taught the parents to, instead, provide attention to sister Suzie who was the recipient of the aggression. Next we asked the parents to have a planned consequence for behavior. They selected time-out. This is an easy strategy to use because it can be implemented anywhere at any time. The other advantage to this strategy is that the parents could direct Sophie to time out without giving her too much attention. We stressed the importance of telling children about plan before they are implemented. So, Sophie’s parents informed her that she needed to use other strategies instead of hitting. They told her that if she chose to hit instead of using one of the strategies, that she would be placed in time out for 5 minutes. The next step was to set up a process for determining if the plan was working.This is important because if a plan is not working, it is necessary to make revisions to the plan. Generally, behavior will respond within the first 4-6 weeks if the plan is appropriate. We simply asked Sophie’s parents to count how many times the behavior happened each week. Unfortunately, after 6 weeks, there was no change in Sophie’s hitting. After discussing possible alternatives with them, we opted for a different consequence. Each time Sophie hit, she lost one of her stuffed animals. This is called response cost. Many parents want to allow their children to earn back lost privileges. Sadly, this is an ineffective strategy and only teaches the child that they will ultimately get the toy back. We made a plan for the lost animal to be donated to Good Will for children who do not have good toys. The parents explained to Sophie how they were going to change the consequences for her hitting. To date, Sophie has only lost 3 stuffed animals with the last incident occurring over one year ago. Congratulations Sophie on learning how to use your other strategies instead of hitting. Congratulations to your parents for effectively implementing the plan!